It is a large, evergreen tree with beautiful & unique flowers. It is quick, large growing tree.The fragnant flower of the tree is red to orange in colour, occurring in dense, globe-like head. It nicely assumes the shape of a ball. When the tree is in bloom, one can see the tree loaded with numerous beautiful flowers. 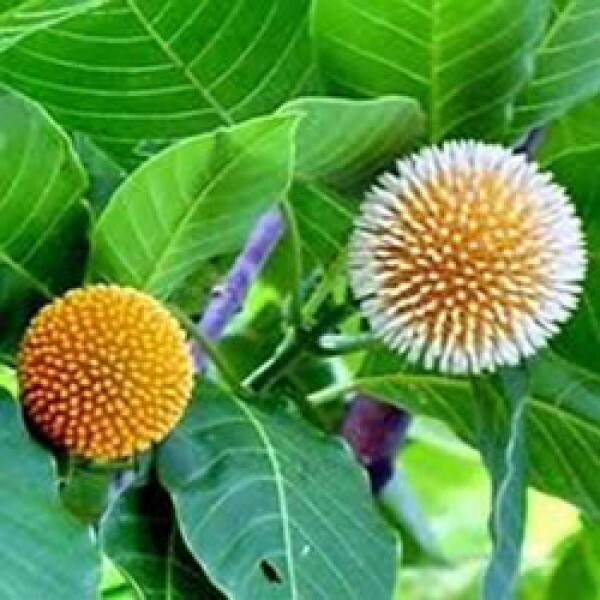 The flowering usually begins during monsoon when the tree is 4–5 years old. The timber is used for plywood, light construction, paper, boxes and crates, dug-out canoes, and furniture components. The tree is grown along avenues, roadsides and for shade. Kadamb tree leaves are also used for treating diabetes. It is belief that plantation of Kadamb tree near to lakes and ponds, brings happiness and prosperity in their life.